The Apple’s new iPad sold three million units within the first weekend of its release. 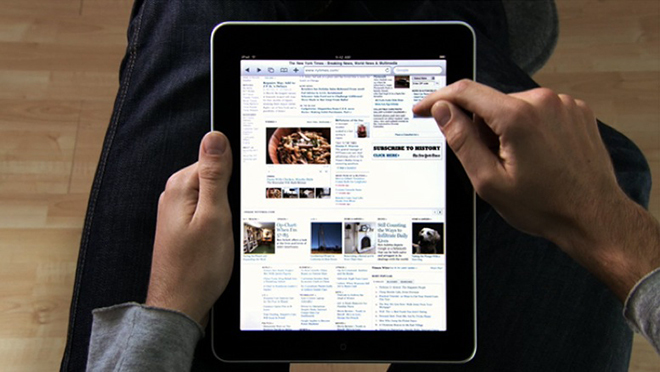 Apple also expects to generate $38 billion in revenue in 2012 from iPad sales alone according to some Wall Street analysts. Apple alone sold 15.4 million iPads during the fourth quarter of 2011 which is more than the number of PCs marketed by HP. These statistics are very compelling to make a case for tablets. In addition to Apple, many others including HP, Samsung, Dell, Motorola Mobility, and HTC also makes tablets under many different names. Apple has the lion share of approximately 66 percent of the tablet market. The case for the popularity of the tablet is that it reduces the number of sit downs in front of a PC. With the introduction of the cloud computing and its rapid progress, large data files such as pictures and music can be stored on the net somewhere else instead of your PC. Apple is also throwing out bundles of user friendly mobile apps. All tablet manufacturers are running at full capacity despite recent calamities in Thailand, Japan and elsewhere. Unless another breakthrough product comes to the market, it is impossible to stop the spread of tablets.